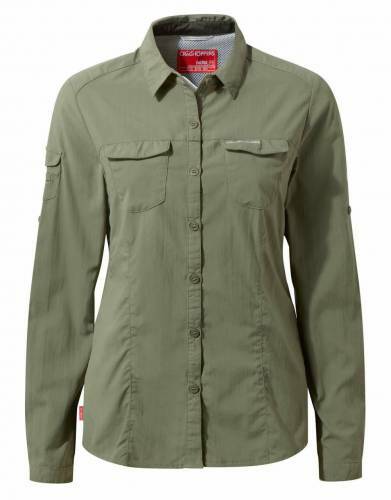 Offering built-in insect repellent and sun protection, this long-sleeved shirt has a number of features to keep you cool and protected for safari and outdoor hobbies and adventures. A long-sleeved shirt is a must on safari. 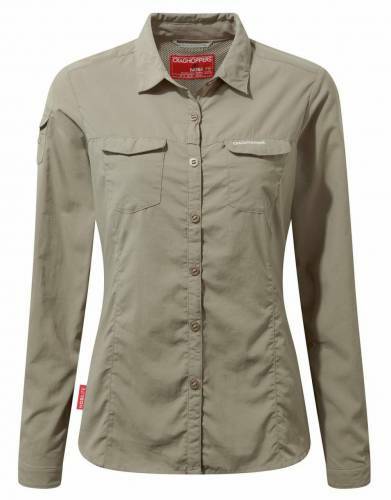 This hot-climate travel shirt offers lightweight comfort and versatile performance on safari and for all outdoor activities. With built-in insect repellent and UPF50+ sun protection, as well as a Solarshield cooling collar, enjoy protection and comfort in all warm-weather destinations. The anti-bacterial properties of this shirt combat odours and the Wash and Wear ability of the fabric with drying loops means you will have a fresh shirt throughout your adventures. The vented back, four pockets, sunglasses loop, and sunglasses wipe are all handy additions for the woman adventurer - further adding to the overall convenience of the shirt. In purchasing this shirt, you also receive a lifetime guarantee which covers all manufacturing faults (applied at manufacturer's discretion and does not cover wear and tear, accidents, or damage arising from alterations). ⊙ MATERIAL: 100% Polyamide lightweight, quick-drying, insect repellent material with UPF50+. ⊙ SOLARSHIELD COLLAR: The Solarshield fabric technology has been tried and tested to give you sun protection from harmful rays. ⊙ SUNGLASSES HANGER LOOP AND SUNGLASSES WIPE: A handy place to hang your sunglasses which includes a sunglasses wipe. As a general rule these shirts do tend to come up small. Please order one size larger than usual. 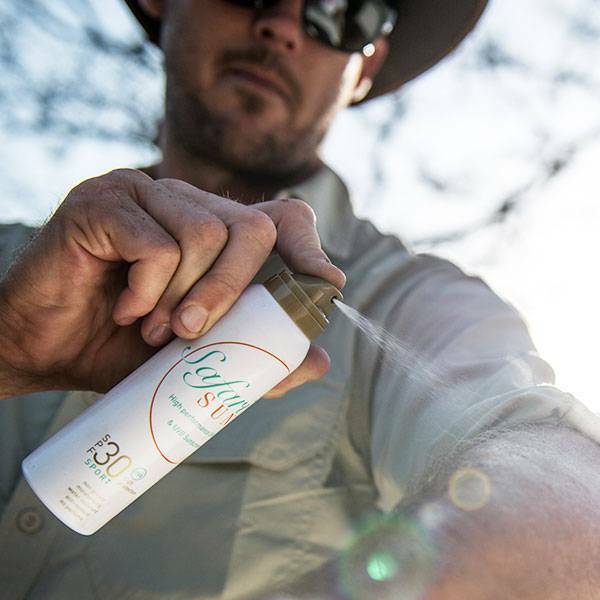 **If we have sold out in your size, please opt for one of our Australian-made repellents plus one of our Rufiji™ MaraTech™ shirts. 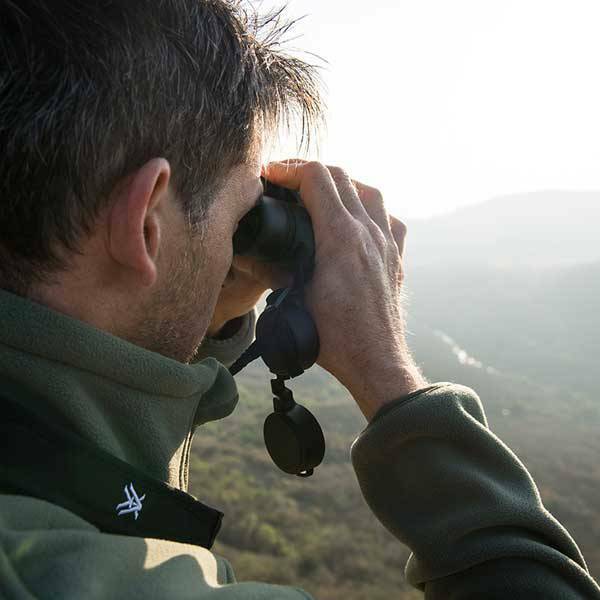 This combination is recommended by our safari experts as the best defence against biting insects and for the ultimate in lightweight, cool shirts. ⊙ MATERIAL: 100% Polyamide lightweight, quick-drying, insect repellent material with UPF50+. The trim is 100% polyester.